A retired trucker from Skelmersdale, who was diagnosed with advanced prostate cancer, has ‘Braved the Shave’ with his son and a family friend to raise more than £1,400 for Macmillan. John Medlicott, 74, was joined by his 51-year-old son, also called John, and their pal Andy Allsop, 29, for the hair-raising fundraiser staged at the Tawd Vale Inn on Berry Street in the town. 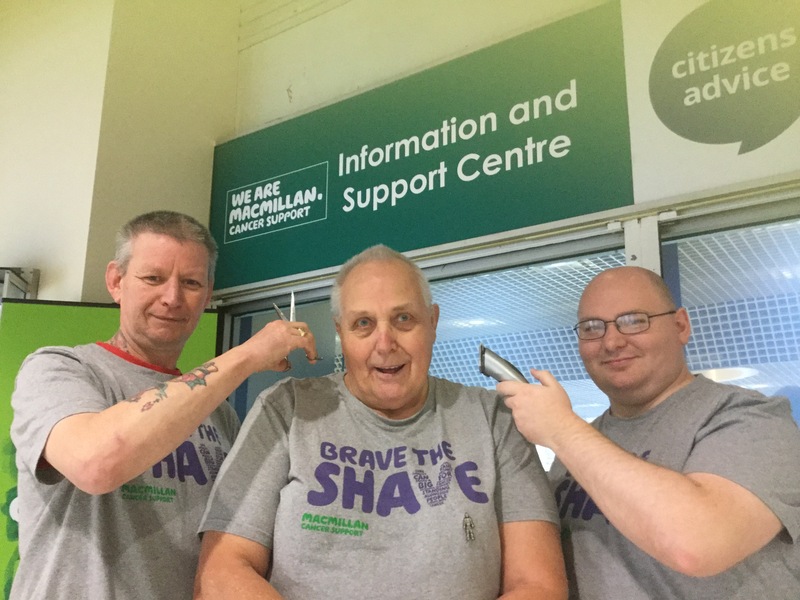 His son, John junior, a warehouse operative at a local chilled food operator, and Andy, a security guard, both wanted to support John and Macmillan Cancer Support’s Brave the Shave campaign. John, who spent 48 years on the road, was diagnosed with incurable prostate cancer two years ago but wanted to raise awareness and funds for his local Macmillan Support Team, at the Information and Support Centre in Skelmersdale, who have helped him since his diagnosis. He said: “Two years ago I was diagnosed with advanced Prostate cancer, which is incurable, and the support that I have received from my local Macmillan support team has been profound so I wanted to try and give something back. “I began this campaign with a target of raising £300 but we sailed passed this amount within the first six days! We then set a target of £500, which was also smashed and we are now well on the way to achieving our combined goal of £1,400.